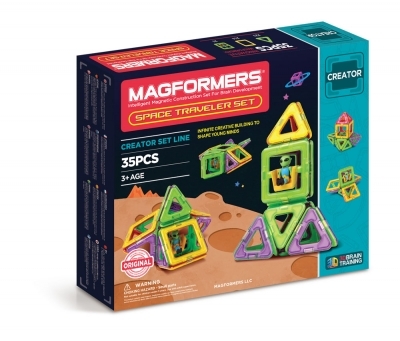 Create 3D structures from 2D nets with the Space Traveler 35Pc Set. Use squares and triangles to build space ships and shuttles. 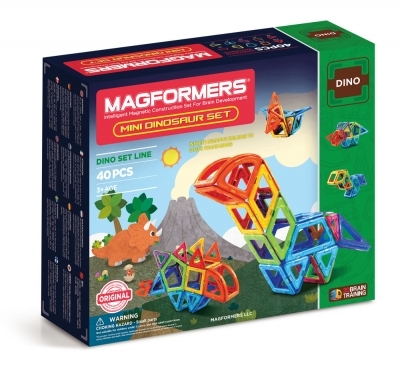 Add Magformers alien character to your builds and fly around planet Tetrahedron. Well made and great colors. 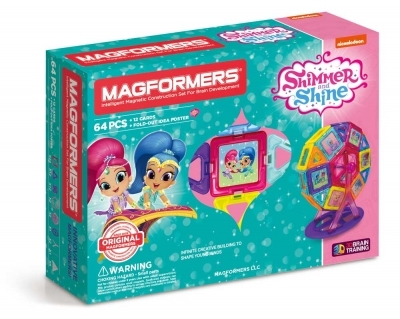 Love that they can work with all magnetic pieces. 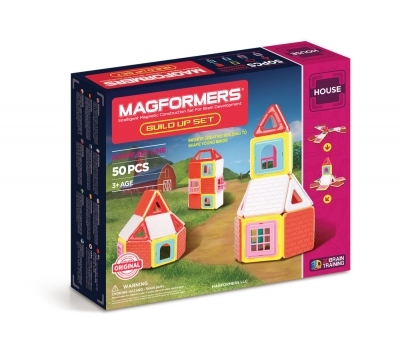 Love the colors and possibilities building different things.